ABC Entertainment president Channing Dungey just isn’t certain Barr will personally identify the U.S. president. “I don’t know whether Roseanne (Barr) will speak about Trump by name. But she’s going to speak very honestly,” Dungey told the Banff World Media Festival on Monday during a keynote address. “We’re going to be tackling some of the topics that are in the conversation today. I’ll leave it that,” she added. 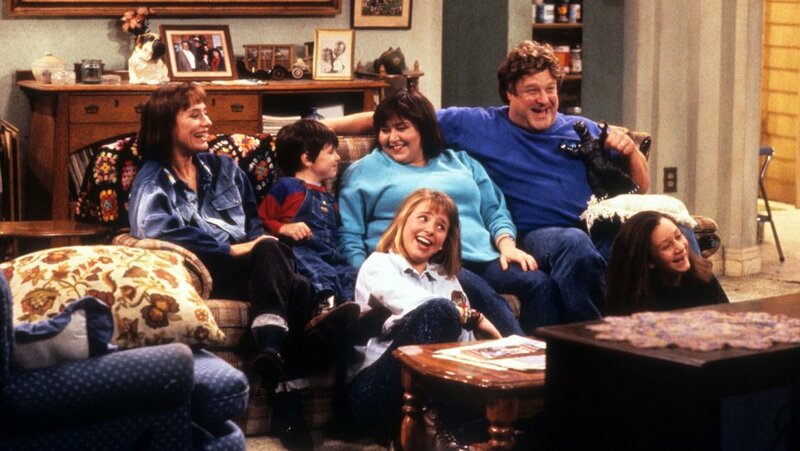 Original castmembers Roseanne Barr, John Goodman, Sara Gilbert, Laurie Metcalf, Michael Fishman and Lecy Goranson will return 30 years after the original Roseanne comedy debuted, this time with new kids and grandchildren thrown into the mix for new story-telling. Dungey said ABC as a broadcaster by nature tries to appeal to a broad audience, but that need has never been more acute than after the recent U.S. election. “What the election revealed was that there’s parts of our country that didn’t feel heard, that they didn’t have a voice. When you look at how the polling data went in the run-up to the election, it was kind of big surprise to many people that the election turned out as it did,” she recalled. If this does well, we might see more politically oriented shows in prime time. Update/Correction: Posting quickly while traveling has its hazards. In this case I posted when I had time, and didn’t go back until later to review Rosanne’s previous comments on Trump to find that she has been defending him. She is not someone I have ever paid much attention to,but from reading more on her recent political comments it sounds increasingly like the show could have a pro-Trump view. Hopefully it will at least present both sides. Posted in Donald Trump, Humor and Satire, Television. Tags: Donald Trump, Jimmy Fallon, Rosanne, Saturday Night Live, Stephen Colbert. RSS feed for comments on this post.. TrackBack URL. I liked the "Roseanne" series. I watched most of them. I discovered over time that Barr was not playing a character, she was being herself. Some may like that. Sean Connery played Bond and was a poor example as a man. Carroll O'Connor was not Archie Bunker.